The Philanthropy Workshop is a network of over 450 global leaders committed to solving the world’s most pressing social issues. 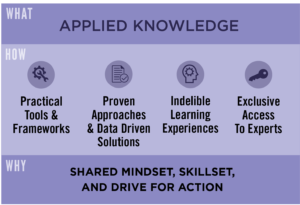 As the largest network of its kind, TPW engages humble leaders who seek to leverage their time, talent, resources and networks for sustainable impact. 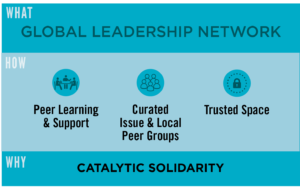 We partner with every member to establish clear social impact goals, create a strategic roadmap for network engagement and educational programs, and curate expert connections and resources. With offices in San Francisco, London and New York, TPW has members residing in the United States, the United Kingdom, Canada and over 20 countries throughout Asia, Europe, Latin America and the Middle East. The Philanthropy Workshop’s vision is to prove that unprecedented social problems can be solved with humble leaders and partners who are committed to learn, collaborate and invest together. 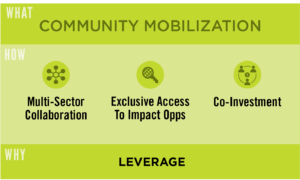 TPW’s performance promise is to ensure every member leverages their resources and accelerates social impact by offering year-round strategic partnership, best-in-class global programs, and a trusted peer network committed to investing in what works. The Philanthropy Workshop believes that philanthropy, pursued with humility and intentionality, is essential to our individual and collective wellbeing and that these efforts can be magnified by knowledge gleaned through lifelong learning and shared experiences. We believe that a network of effective global philanthropists can create a tipping point where the culture of giving embraces philanthropy’s promise to realize a more just, sustainable, and enriching world. TPW is a community of philanthropists and social investors who share a deep commitment to each other and to accelerate long-term impact. To learn more about joining the TPW network, click the button below. 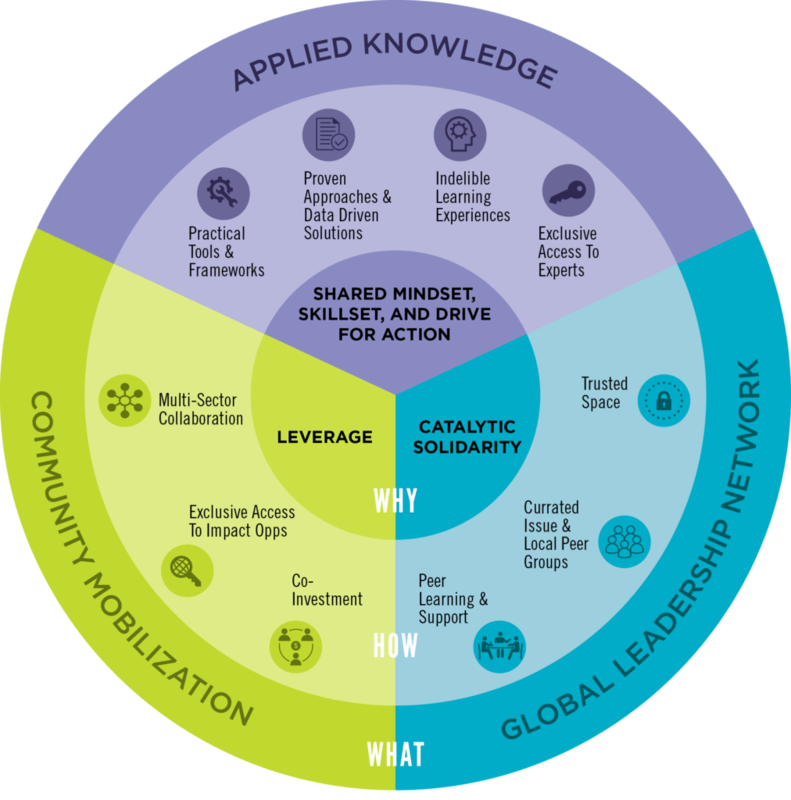 Since our start-up in 1995, The Philanthropy Workshop has leveraged the strengths of forward-thinking philanthropists, advisors, and our founding organizations, including the Rockefeller and Hewlett Foundations and the Institute for Philanthropy, to bring educational programming, a diverse network, and a united position as the foremost influencers of strategic and innovative philanthropy. 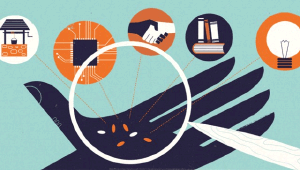 The Rockefeller Foundation starts up the New York-based The Philanthropy Workshop (TPW), the first curriculum-based program to help philanthropists learn how to give better. The London-based Institute for Philanthropy (IFP) is founded in the United Kingdom by advisors to The Prince of Wales’s Charitable Foundation to help create a more fertile environment for giving. 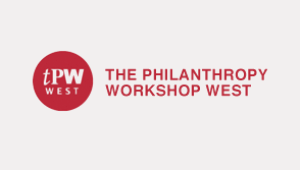 The William and Flora Hewlett Foundation and the TOSA Foundation, in collaboration with the Rockefeller Foundation, launch San Francisco-based The Philanthropy Workshop West (TPW West) to serve a growing market of individuals seeking to give effectively. The New York-based The Philanthropy Workshop (TPW) is spun off to the Institute for Philanthropy (IFP) where it becomes the IFP’s flagship global philanthropy program. 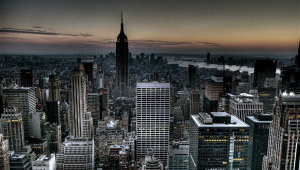 The London-based Institute for Philanthropy (IFP) expands to the United States, opening an office in New York. TPW West becomes a freestanding independent organization with the leadership and support of philanthropists all trained through The Philanthropy Workshop. London-based The Institute for Philanthropy and San Francisco-based TPW West merge to become The Philanthropy Workshop (TPW). TPW leverages the strengths of forward-thinking philanthropists, advisors, and its founding organizations to bring educational programming, a diverse network, and a united position as the foremost influencers of strategic and innovative philanthropy in the global community. TPW’s network of more than 350 philanthropists is the largest of its kind and unique to the field of philanthropy. Members hail from the U.S. and the United Kingdom with significant numbers from Canada and countries throughout Europe, Latin America, the Middle East, and Asia.